Happy Easter and Holy Week! It was decided to take a week off since the Copey Learning Center was on vacation in recognition of their version of Easter Week…! Also, it was an extremely busy week for me being involved in other projects I am engaged in. Back to business today and we are now on the front end of the next major events planned for both May and June. First, in a couple of weeks there will be two more Emory & Henry students heading to Copey. These two students will follow the previous five students who began volunteering in Copey in 2016 when we began the “Pathway Project”. I plan to share more information about our current students in upcoming Posts. Also, we continue to work out the issues with our Copey students heading to America in June. Getting visas approved for students has become a little more complicated than in the past. We hope to have this all resolved very soon. Next week, we will kick off the annual “2019 Pathway Project” fundraising effort needed to cover the travel expenses for the Copey students and chaperones. “The Quido A. & Elizabeth H. Binda Foundation Grant” Delivered…! We are again thankful and appreciative for the recent grant funds provided by the Binda Foundation from Battle Creek, Michigan. Also, we thank the Tri-City Kiwanis Club for their support. The funds have been received and passed on to the Copey Learning Center. Next week, we expect to learn more about the students who will be awarded scholarships made possible by this grant. We are continuing to highlight the scholarship recipients to show all “Friends” the results of the AGB Scholarship Fund support we receive. There are eighteen recipients total. The grant from the Binda Foundation will add another five recipients to Copey Learning Center rolls very soon. Needless to say…the more students attending the Copey Learning Center…the better. 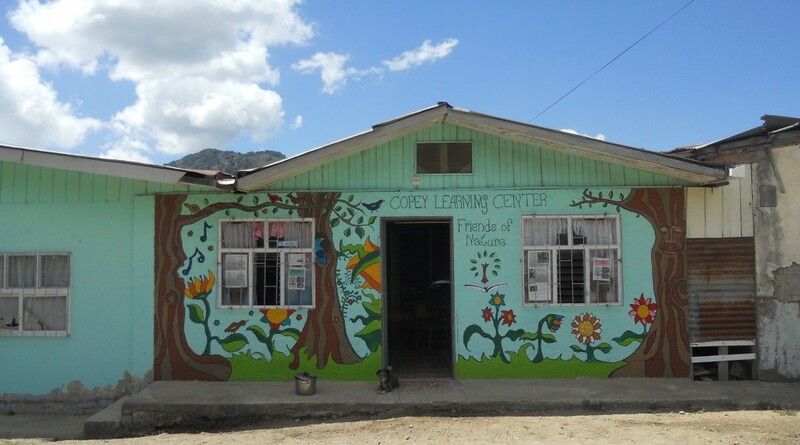 Recently, the Copey Learning Center received their final copy of the YouTube video about the work at the Copey Learning Center. This video is mostly in Spanish and will not be a problem for the “Friends” fluent in Spanish. However, for others it will be a challenge. We have three students featured in this video who have been past “Pathway Project” recipients. Celeste, Ariana, and Brian all have been to America with your help. Mariana, also featured, is one of the “2019 Pathway Project” students scheduled to travel in June. Seidy is the founder of the Copey Learning Center and also scheduled to travel to America in June. We plan to show this video during the planned reception when we host the Copey students and chaperones. Plan to join us in southwest Virginia on June 14, 2019.